Our Tiny Desk Contest Entry Was Featured on NPR This Week! Last month, along with thousands of other musicians from around the world, we entered NPR's Tiny Desk Contest with our video and song, "Drowsy Driver." This morning, we found out that our video was featured along with five other amazing musicians in the category of “Desks in the Wild” (i.e. videos filmed outdoors). Now we need your help! Please click the button below and vote for us as your fan favorite “Desks in the Wild” before the end of the week! Wish us luck and thank you! It’s that time of year again! Tiny Desk season is upon us which means thousands of independent musicians from all around the world create video entries in hopes of getting to play a coveted Tiny Desk Concert at NPR’s office in Washington, DC. This year, we are throwing our hat into the ring with a brand new song called “Drowsy Driver.” We’re so proud of this song which has taken us almost two years to complete. The idea started when Rachel saw a road sign in Salt Lake City, UT that read “Don’t be a drowsy driver - pull over” and thought it would make for a good song. On tour, there are many days where Rachel drives for 8-10 hours straight, so she is often a drowsy driver. A strange thing happens when you drive for that long, which is you start to hallucinate a bit - common things on the road start to resemble other things. So she compiled this ongoing list of images and just kept adding to it for nearly two years. Meanwhile, Thu was playing around with this guitar line that was based around a clawhammer technique (to see an amazing example of this technique, check out this video of Molly Tuttle). Eventually, we put all of this together and “Drowsy Driver” was born. The song is told from the perspective of the road, presenting these various images to the drowsy drivers as small gifts of encouragement, watching over them, and gently guiding them all safely to their destination. We hope you love this song as much as we do, and if you do, please give it a like and a share! And wish us luck for the Tiny Desk Contest this year! One of the most rewarding things that we get to do is collaborate with other artists that we admire. We've always appreciated this artistic exchange - from the musicians on our records to the visual artists who contribute to our album art - we are endlessly inspired by artists of other disciplines and media. That's why we are over the moon about two recent collaborations to which we've had the honor of contributing our music. We were also interviewed on the latest episode of the podcast Break Form. This podcast was created by Annette Wong and Sarah Woo, two former(ish) lawyers turned writers, who explore their career transitions away from law, and, through conversations, discuss and challenge conventional narratives about career, creativity, and success. We had the opportunity to sit down and talk with Annette about touring, our artistic process and…. SURPRISE!… our brand new instrumental single, Vis Viva! Earlier this year, we composed a piece of music which is our very first wordless creation, and we’re so proud to be unveiling it on Break Form, and contributing it as their new theme song. The single will be available on all digital platforms on July 27th, but if you want to hear an early sneak peek of the song ahead of its official release, listen to Episode 11 of Break Form, and make sure to click subscribe so you can hear all of their episodes. What better way to debut a brand new song than entering it into NPR's Tiny Desk Contest? 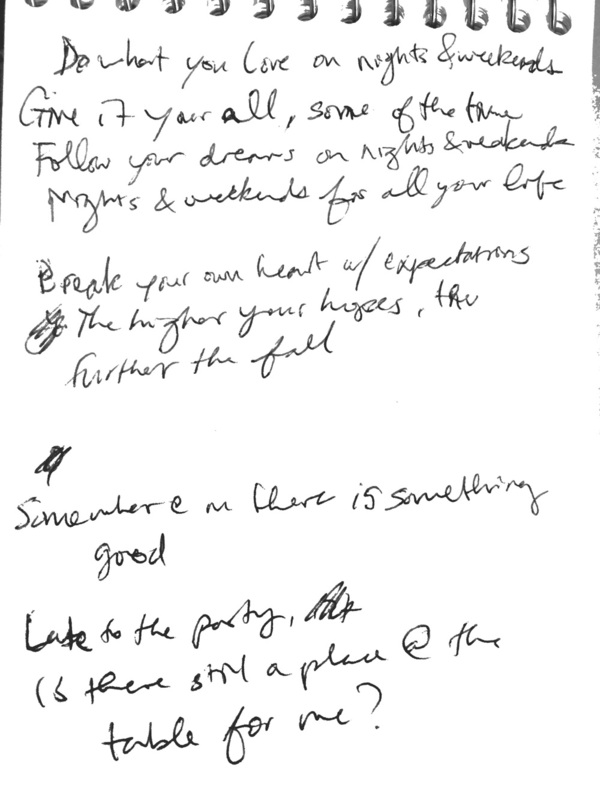 This is a new song called, "The Work" and we are thrilled to be sharing it with you. We always love "Tiny Desk Season" when we get to see all the other amazing independent musicians' submissions - it reminds us of the wonderful community we get to be a part of. Please enjoy "The Work." We just got back from Kansas City, MO where we attended our very first Folk Alliance International (FAI) Conference. For those who are not familiar, FAI is an annual gathering of artists, agents, promoters, house concerts, festivals and industry professionals in the folk music world. It's inspiring and overwhelming to be among such accomplished, talented people - but also invigorating to find this incredible community of music lovers/creators. We went to Kansas City for the FAI Conference, but also to perform at the Kansas City Folk Festival, which is open to the public and concludes the week-long folk festivities. We performed on the FAI Regions stage, representing the FAR-West region, which covers California, Idaho, Montana, Nevada, Oregon, Utah, Washington, Wyoming, Alaska and Hawaii, as well as Alberta, British Columbia, Yukon and Northwest Territories in Canada. This was one of the biggest shows we've ever played, which was nerve-wracking, but we were honored to have had the opportunity to represent our region of FAI. The duo create soft melodic songs, that could just as easily exist as poems. Beautiful and full of soul and emotion, the quaint pair swept the audience away; first time listeners and long-term fans. Read the full review and see a photo gallery of the festival performances here. We're so proud to share the music video for our song "Wild Heart.” We had the great privilege of working with The Company on this project, whose incredible choreography, passion and artistry brought this song to life in a beautiful way, and we could not be prouder of this video. We've been long-time fans of The Company and it was a dream-come-true to work with them. The song was inspired by Rachel's grandmother who, as a young girl in Mexico, used to sneak onto trains with her friends to steal the sugar cane that was drying on top of the cars. That image of her as young girl has always stuck with us - just how vibrant and fearless she was. 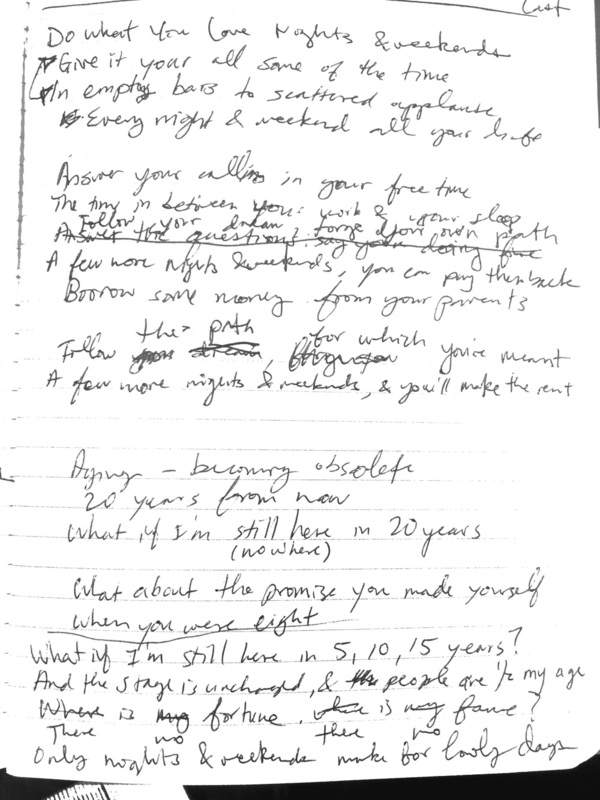 This song is a testament to that courageous, rebellious spirit. We hope this song resonates with you, and empowers young women to be strong, brave, wild and free. We also hope you’ll share the video with the courageous and powerful women in your life. "Wild Heart" is currently available for purchase and streaming on Spotify, Apple Music, iTunes, CD Baby and all other major platforms. The video is available on Youtube. UPDATE: Thank you to everyone who purchased the song and donated to the campaign. We were able to make generous donations to both organizations this past month. We hope you'll continue to follow and support these organizations - we definitely will! We are very excited to announce that through the month of December, all proceeds from our song “Give Love” will be donated to MADRE and Girls Rock Camp. We are passionate about the missions of these two organizations and think they are doing valuable work. Click below to purchase and download the song on your preferred listening platform while supporting two great causes. We hope you can join us in giving and getting more love this holiday season! We’ll also be playing a string of California shows this month as part of our Give Love Holiday Tour to spread the word about these organizations. 12.15 - San Luis Obispo - Palm Theatre - Get Tickets! New EP, DIRECTIONS, out today! It's here! Our new EP, DIRECTIONS, is out today! When writing this record, we explored a new creative process, starting with strong, anthemic drums as the impetus for each song. We set out to create music for blasting loud in your car with the windows down while singing along at the top of your lungs, which has always been a kind of self-care for us. We hope these songs can be uplifting, especially in these times of deep political, social and emotional unrest. The EP was recorded at Hyde Street Studios in San Francisco with producer and engineer Stevland McDowell (The Head and The Heart). Featured on the album are SF Bay Area musicians Aaron Kierbel (drums), Darren Johnston (trumpet), Joe Lewis (bass), Scott Griffin Padden (bass), Mia Nardi-Huffman (violin) and Gerry Grosz (piano). 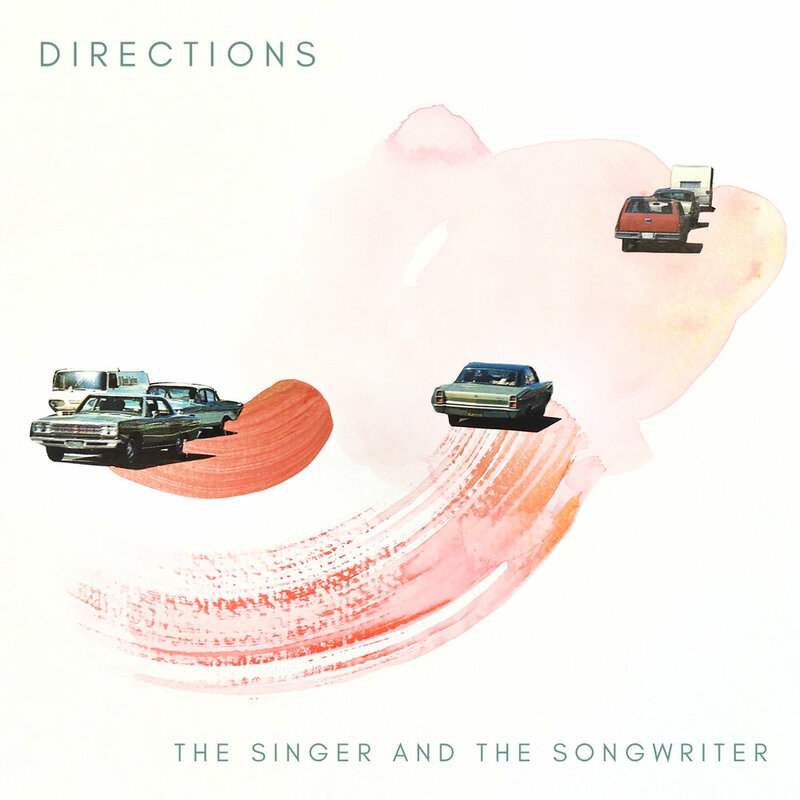 The incredible album art for DIRECTIONS is by mixed-media artist Danielle Krysa (creator of the popular blog, The Jealous Curator, and author of Your Inner Critic is a Big Jerk). We fell in love with Danielle's original work entitled, “HOLIDAY SCHMOLIDAY – EDITH PUT THE PEDAL TO THE METAL AND HEADED FOR THE COMFORTS OF HOME.” (Mixed Media on Paper, 2017) because it captures the vibrant tone and adventurous spirit of the songs on DIRECTIONS. We're really proud of these songs and hope they move you. Find it on iTunes or Spotify! This year we will be attending the Folk Alliance Region - West Conference in Bellevue, WA for the very first time! It is our honor to be performing as an Official Showcasing Artists on October 6th at 7:30pm. We're also excited to be meeting and learning from amazing folk musicians from all over the country! And in addition to our Official Showcase, we will also be participating in the New Voices Showcase, featuring newcomers to the conference, as well as the "Now See Hear" showcase: an ongoing, collaborative art-share project where we will be debuting a brand new song we wrote specifically for the conference! You can find all our performance dates, times and locations for the conference in the photo above. Follow us on Facebook and Instagram to see all our adventures as they happen, and follow FAR-West to check out the conference! We loved this interview and article in the Pasadena Weekly about our upcoming appearance at the Wine and Song concert series in South Pasadena! We talked to writer Bliss Bowen about our adventures on tour, our writing process and our feelings about living the road life. Check it out and come and see us if you are in the LA area on April 19th! We are heading out on a Spring Tour of the West Coast! Check out the poster below and head to our Upcoming Shows page for tickets and info! We've got some exciting news to share! Our song, "Someday" was featured in the opening scene of Bravo's new show, Imposters. You can hear it in the series premiere, playing as the central characters of the show watch their wedding video. We especially love how it segues into the shows title card! You can watch the show now on Bravo's website! New episodes every Tuesday on Bravo. We excited to share the session we filmed with Little Fella Media. They are committed to supporting indie artists, attempting to capture the essence of the live experience by filming performances in a single take - imperfections and all! We did 5 songs with them and will be updating this post as the videos are released. Enjoy! We are so proud of this story and we're excited to share it with you! While the songs explore disenchantment, Garcia's rich, warm voice wraps around you like the softest quilt and Tran's subdued guitar shines at all the right moments, creating somber tracks that are more than palatable and neccessary. The folk-driven duo write baroque lullabies that move along with an ease and fluidity that showcases their musical maturity and sensibility. García’s torchy vocals have a soft spoken tone that can surely alleviate the end of a busy shift, the kind that befits their knack for lilting bossa nova rhythms and lush jazz arrangements. Garcia’s expression of toil through her floating vocals simmer above Tran’s steady guitar rhythms and his bluesy playing, reflecting their optimism in the midst of self-doubt.